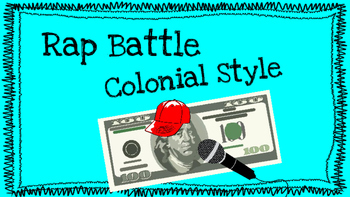 This particular project asks students to work in collaborative groups in order to write rap songs on the New England, Mid-Atlantic, and Southern colonies during the colonial time period. Examples from Youtube are also included to provide teachers and students a better understanding of the assignment. 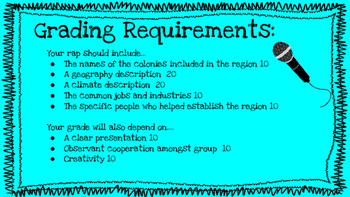 This activity can be easily modified in a multitude of ways for any content area topic! 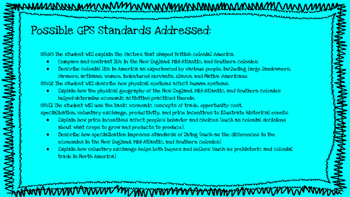 Although my students turned the activity into general songwriting, they were thoroughly engaged and produced products showing their definite learning of the colonial regions!